Breif rest during the fighting in Aleppo, to take a selfie. Trumpeter UAZ 469 and BRDM 2. 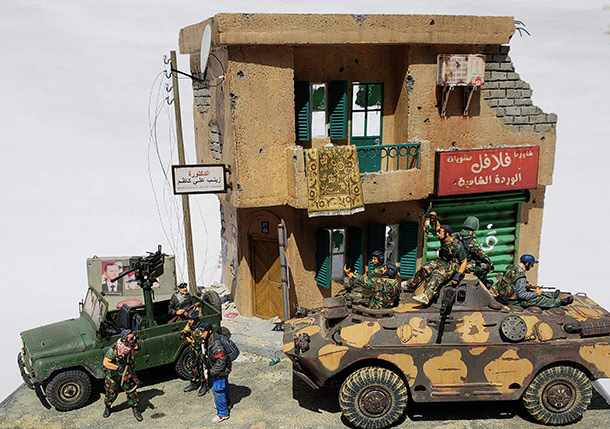 Figures mostly from Paracel and accesories from Middle East Modeling Accesories. УАЗик какой-то изумрудный. Вообще цвета немного ненатуральные.